Owned and bred by Anthony Oppenheimer, the John Gosden-trained Golden Horn was an outstanding performer throughout 2015. Partnered by the revitalised Frankie Dettori, the Cape Cross colt gained four Group One wins - the Investec Derby at Epsom Downs, the Coral-Eclipse at Sandown Park, the QIPCO Irish Champion Stakes at Leopardstown and, perhaps his greatest victory of all, in Europe's richest race, the Qatar Prix de l'Arc de Triomphe at Longchamp. His final start came in the Breeders' Cup Turf at Keeneland, USA, on October 31 when he went down by half a length to Found. However, that defeat took nothing away from a tremendous season and he retires to Dalham Hall Stud with only US Triple Crown hero and Breeders' Cup Classic winner American Pharaoh rated higher anywhere in the world. Golden Horn saw off competition from Solow, Muhaarar and Legatissimo to be the Cartier Horse of the Year, while he also takes the Cartier Three-Year-Old Colt Award ahead of Muhaarar, Gleneagles and Jack Hobbs. 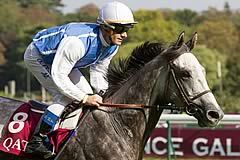 Solow gains compensation by becoming the Cartier Older Horse Award winner. The remarkable five-year-old grey gelding was a revelation when dropped in distance in 2015, with an unbeaten campaign yielding five Group One victories in England (three times), France and Dubai. Trained in France by Freddy Head for owners the Wertheimer Brothers, he looks sure to remain a major player next season. 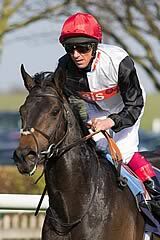 The other nominees in the Cartier Older Horse category were Treve, Esoterique and Amazing Maria. 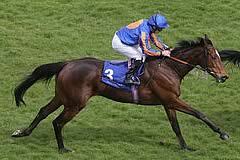 There is also just reward for Muhaarar, who takes the Cartier Sprinter Award. The three-year-old, trained by Charlie Hills for Sheikh Hamdan Al Maktoum, began the season as a potential Guineas candidate but, after finishing eighth in the Poule d'Essai des Pouliches, he proved an outstanding sprinter when dropped in distance. After success in the inaugural running of the Group One Commonwealth Cup at Royal Ascot, he went on to capture three other Group Ones, the Darley July Cup at Newmarket, Deauville's LARC Prix Maurice de Gheest and the QIPCO British Champion Sprint at Ascot. The other nominees in the Cartier Sprinter category were Goldream, Mecca's Angel and Twilight Son. Legatissimo 's tremendous efforts throughout 2015 have resulted in her gaining the Cartier Three-Year-Old Filly Award. A supremely tough and talented performer, the filly ran in six Group One races this year, winning three and finishing second in the other three, losing out by a short-head in two of them. 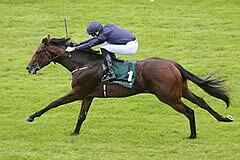 Trained by David Wachman for a Coolmore syndicate, her victories came in the British Classic, the QIPCO 1000 Guineas at Newmarket, followed by the Qatar Nassau Stakes at Goodwood and the Coolmore Fastnet Rock Matron Stakes at Leopardstown. Her rivals in the Cartier Three-Year-Old Filly division were Simple Verse, Found and Covert Love. Simple Verse becomes only the second three-year-old to win the Cartier Stayer Award. 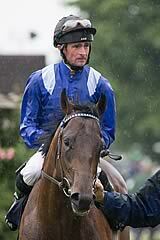 Trained by Ralph Beckett for Qatar Racing Limited, she was the first filly since 1992 to land the Ladbrokes St Leger. Having been demoted to second at Doncaster on the day by the stewards for causing interference to the runner-up Bondi Beach, connections decided to appeal and she became the first horse to be awarded a Classic on appeal. The other candidates for Cartier Stayer honours were Trip To Paris, Order Of St George and Vazirabad. Both awards for juveniles go to horses trained by Aidan O'Brien for Coolmore partnerships. Cartier Two-Year-Old Colt honours go to Air Force Blue, who secured three Group One victories - the Keeneland Phoenix Stakes, the Goffs Vincent O'Brien National Stakes and the Dubai Dewhurst Stakes - which make him a red-hot favourite for Classic honours in 2016. The other nominees in this category were Shalaa, Buratino and Johannes Vermeer. Minding is the winner of the Cartier Two-Year-Old Filly Award. She is a dual Group One winner - the Moyglare Stud Stakes and the Dubai Fillies' Mile - and these victories propelled her to the head of the market for the 2016 fillies' Classics. Ballydoyle, Lumiere and Acapulco were also nominated in this division. The Cartier/Daily Telegraph Award of Merit goes to Jack Berry. The 78-year-old has spent a lifetime in racing as a jockey and trainer as well as a tireless fundraiser and campaigner for injured jockeys. This year saw the culmination of his fundraising activities with the opening of the new £3-million Jack Berry House in Malton, Yorkshire, which offers top-quality facilities for jockeys recovering from injury in the north of England. Harry Herbert, Cartier's Racing Consultant, commented: "The Cartier Racing Awards are 25 years old - a tremendous landmark - and we could hardly have wished for a better season in European horseracing. "Golden Horn carried nearly all before him and is a worthy recipient of Cartier Horse of the Year, while Solow and Muhaarar were equally dominant in mile and sprint races respectively. "I think it would be hard to find a tougher filly anywhere in the world than Legatissimo, while the Coolmore-owned two-year-olds, Air Force Blue and Minding, were both very impressive. It is refreshing to see the Cartier Stayer Award go to a three-year-old, Simple Verse, for the first time since 1994. "Jack Berry's whole life has been dedicated to racing and the opening of Jack Berry House in 2015 is a lasting testament to his tireless work on behalf of injured jockeys. We are delighted to announce him as the recipient Cartier/Daily Telegraph Award of Merit in 2015."